Kelulut Bee also knowns as "Stingless Bee" are found throughout tropical regions especially Malaysia Rainforest. It taste sweet sour and pleasant and with a boost of floral fragrances to tantalizing your taste buds. Stingless bee honey is more liquid, the high water content makes it fermentation naturally. Kelulut Honey has strong anti-bacterial & anti-toxin function, dilation of blood vessels, strengthen our immune system and activation of cells. Last but not least, it contains natural antibiotic elements and function as antioxidant. 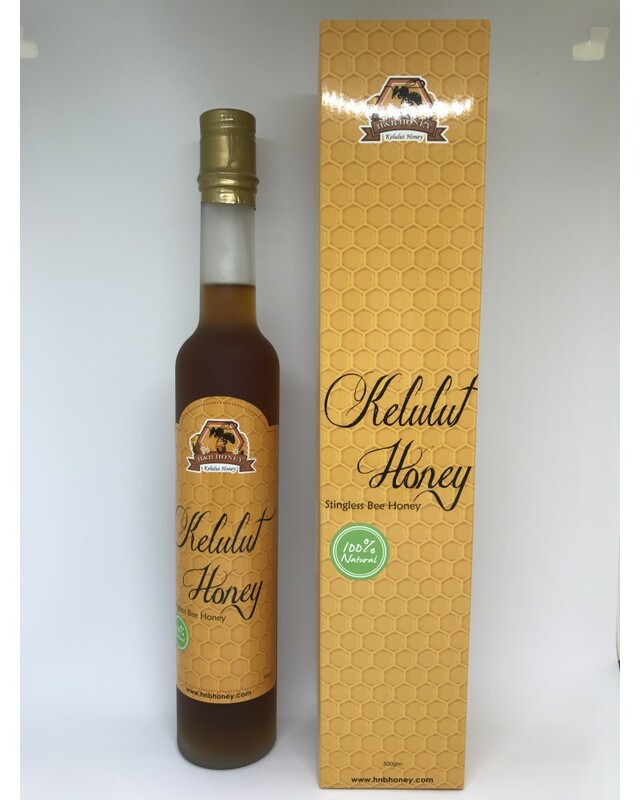 Kelulut honey is twice as nutritious as ordinary honey, according to the Malaysian Agricultural Research and Development Institute (Mardi). However, the stingless bees don’t whizz around so much, seemingly much more relaxed, and will not make you feel as tense with their lack of sting during an encounter. They are much smaller – about three to five millimetres in size, and have a slimmer body in total variance with the usual yellow and black sting-capable honeybees.
. A “Super food” and the best “multivitamins”. To Use: Pour 4 - 5 Tea Spoon of Kelulut Honey together with warm water, and you are ready to enjoy your warm Kelulut Honey.